One thing Patty Logan noticed when she opened City Grows in Lawrenceville was that young people were pouring through the doors in all seasons to garnish their abodes with greenery. In her work as a Garden Educator, Redding Jackson has noticed that from a young age people are intrigued by the process of sewing seeds and helping them grow, a process that blends from one season to the next. Jennifer David grew up with a green thumb – a hobby she can’t give up despite the weather turning cold. 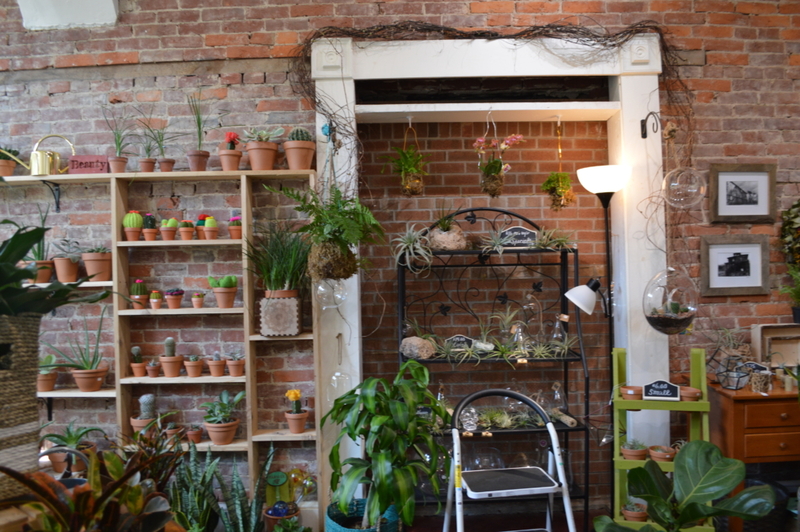 CITY GROWS IS AN URBAN ORGANIC GARDEN STORE IN LAWRENCEVILLE, SPECIALIZING IN SMALL-SPACE GARDENING. Just because the temperatures drop doesn’t mean that leaves in gardens have to. Pittsburgh’s indoor gardening scene is growing rapidly with the push for creating a more sustainable, organic and healthy lifestyle early on. Logan’s shop is in the heart of Upper Lawrenceville, a location she had her eye on from the beginning. Logan has also hosted multiple gardening workshops at City Grows that displayed the young people of Pittsburgh want to learn more about turning the small spaces they have into agricultural areas. 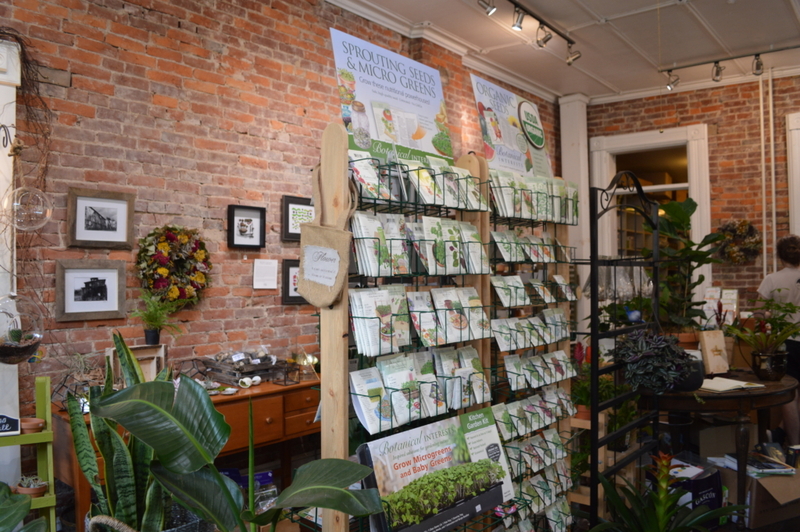 City Grows offers a selection of seeds, seedlings, plants, trays, soils and grow lights – necessary tools in creating a successful indoor green space. SPIDER PLANTS AND CACTI DO WELL FOR THOSE THAT HAVE BUSY LIFESTYLES BECAUSE THEY DO NOT NEED MUCH DAILY CARE. Many of the greenery offered are easy to handle and help flourish. Green, waxy succulents, thin, spindled spider plants and prickly, fuzzy cacti can be seen through the large glass windows. Jackson, who spends most of her days educating classrooms with Grow Pittsburgh – a nonprofit organization focusing on the expansion of urban gardening – agrees that starting your seeds indoors is a great way to enjoy fresh vegetables year-round. MICROGREENS LIKE ARUGULA ARE ANOTHER OPTION FOR THOSE LOOKING TO GROW INDOORS DURING THE WINTER MONTHS. Nick Lubeki, Frick Greenhouse and Shiloh Farm Manager by way of Grow Pittsburgh, said that shoots are some of his favorite indoor options. According to Lubeki, gardening is becoming more popular in Pittsburgh – a benefit for those who are already sowing seeds. “For me, a major part of learning how to make my garden better is trying new things and learning from others who share their experiences,” Lubeki said. 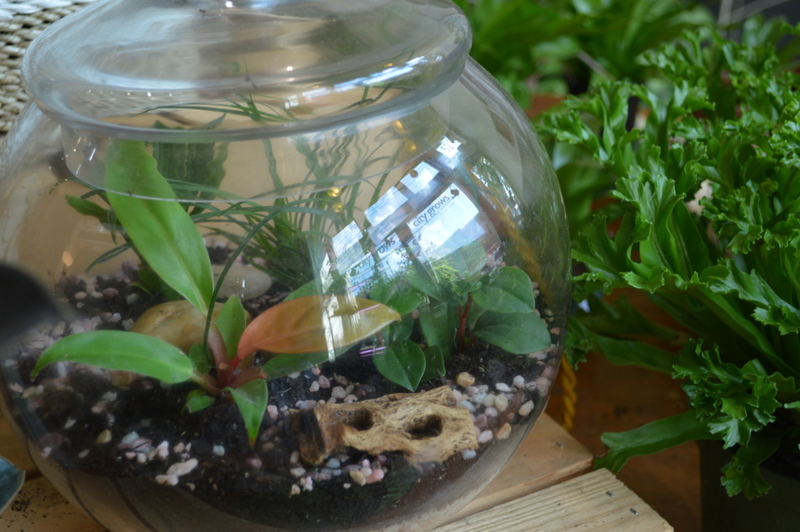 TERRARIUMS LIKE THIS ONE PROVIDE PLANTS LIKE MOSS AND SUCCULENTS WITH A HEALTHY ENVIRONMENT WITH ACCESS TO LIGHT. David, a horticulturist at Phipps, mentioned an opportunity for those who would like to learn more. Phipps offers classes at both their botanical branch and garden center. Events and classes are listed regularly on their website at phipps.conservatory.org/classes-and-programs. Keeping plants indoors have benefits beyond garnishing a favorite meal with a sprig in the dead of winter, according to David. One of her favorites is a jade plant – a succulent with tiny flowers – that was a gift from her grandmother years before. “Plants inside your home help purify the air; they are nice to look at and a have a positive effect on your mood,” David said. Young city dwellers are certainly reaping these benefits, along with some fresh ingredients for their home-cooked meals. But perhaps they have a larger goal in mind, according to Logan. “Young people are more aware of their planet and what they want to contribute to the earth before they leave,” David said.